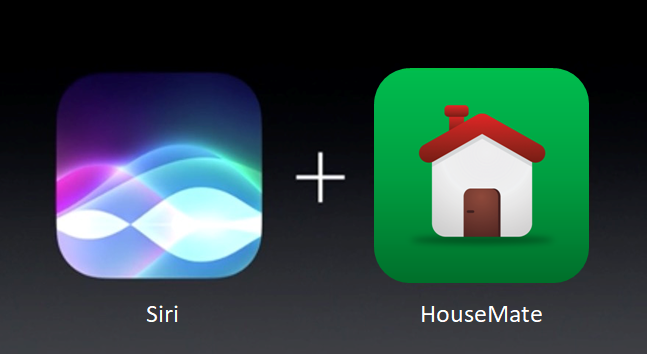 HouseMate Home Control can now be controlled with your voice using Siri. Download version 3.0 from the app store and choose Project Settings->App options->Voice Control. You can use your voice to transmit InfraRed, EasyWave, Z-Wave, HomeKit or IFTTT signals! The integration is designed in such a way that you can revert to switch control should you choose not to you use your voice or are in a situation where voice control is not possible or appropriate. http://housemate.ie/wp-content/uploads/2017/11/siri_housemate-1.png 354 647 housemateadmin2016 http://housemate.ie/wp-content/uploads/2016/05/housemate-logo-300x73-2-1-300x73-2-300x73.png housemateadmin20162017-11-11 16:05:512017-11-11 16:06:38HouseMate works with Siri!